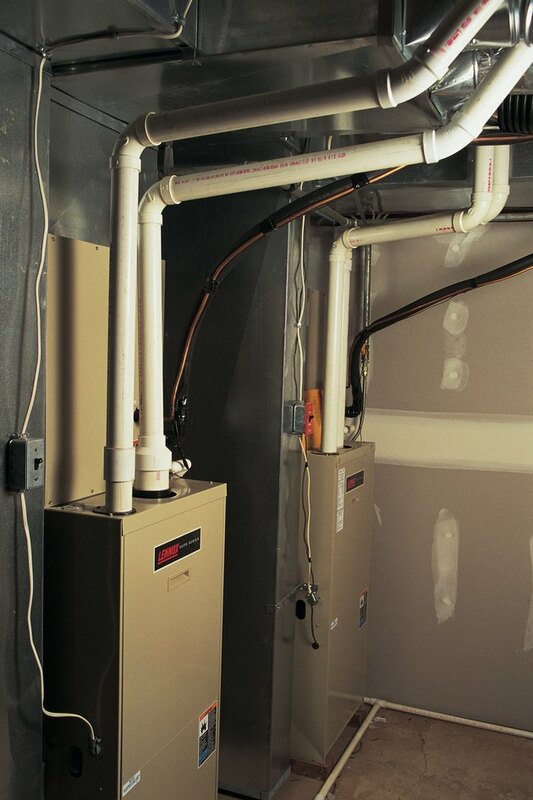 A large percentage of furnace service calls can be avoided if you can find and then determine what the cause is. Most of these problems can be repaired with knowledge and do it yourself experience. Learning how to fix the most common furnace problems yourself can keep you warm and save money. Youc an fix common furnace problems yourself. Check the thermostat by doing the following. Make sure the thermostat is on "heat." Verify the room temperature (where the thermostat is located) is cooler than the thermostat temperature setting If you have a programmable thermostat, verify the program has the correct day/time and the program is "running." If you have a thermostat with a battery, verify the battery is good. Most thermostats will indicate a low battery condition. Verify all switches, breakers/fuses, and interlock switches are on. Check breakers/fuses at your electrical service panel. Also, there is a main on/off switch located somewhere on your furnace. It most often looks like a regular light switch. The blower compartment door normally has an interlock switch to make sure the blower shuts off if the door is removed. Check to make sure the door is in place. The blower compartment is the bottom-most section of your furnace. Dissemble the flue where it enters the furnace to make sure it's not blocked by birds, leaves, etc. Make note of how you remove the pieces so you can reassemble them the same way. Do you have a gas water heater that's working okay? If so, the flue as it exits the house should be okay. Don't take any chances with flue or exhaust problems. See the warning below. If you have a high efficiency furnace, you will have intake and exhaust vents on the side of your house. Verify both are clear of plants, leaves, etc. 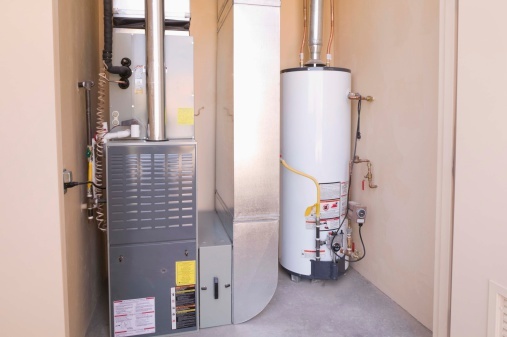 High efficiency furnaces bring in outside air that contains moisture. Check the drain line to make sure it's open. The drain line will be a clear tube that comes out near the bottom of the furnace. Don't confuse it with the air conditioner or humidifier drains. These are normally located higher up than the furnace drain. Check your filters. A dirty filter will cause your furnace to overheat and shutoff. Check filters at least monthly or more frequently if you have pets and children. Filter types vary by manufacturer and model. Check the manufacturer's manual for your particular furnace. If you have an electronic air cleaner, keep it clean and verify it's functioning properly. Most electronic air cleaners have status lights you can check to verify operation.